Good Chemistry was originally formed to provide relief for those living with HIV-AIDS and other critical illnesses. Since then we have expanded our outreach to a broad array of communities in need; organizations like One Colorado, Ray of Hope, Gathering Place, the Denver Rescue Mission and others. Today is Colorado Gives Day all across the state. Please take a moment today to help us in our support for these and other groups by visiting coloradogives.org and making a donation of any size. Colorado Gives Day features a $1 Million Incentive Fund, created by Community First Foundation and FirstBank. It is one of the largest gives-day incentive funds in the country. 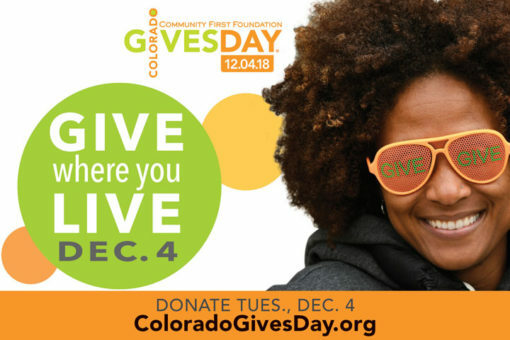 Every donation made through ColoradoGives.org on Colorado Gives Day is boosted by the incentive fund, which increases the value of every dollar. For example, if a nonprofit organization receives 10 percent of the total donations made on Colorado Gives Day, that same nonprofit receives 10 percent of the $1 Million Incentive Fund. An additional $100,000 in prizes, sponsored by FirstBank, gives nonprofits an opportunity to win cash for their worthwhile causes. Click here to make a donation to these or other organizations through coloradogives.org.